On November 13, only one week after the U.S. mid-term election, Michael Beschloss appeared before an overflow crowd at Minneapolis’ Westminster Town Hall Forum to discuss his recent book, Presidents of War: 1807 to Modern Times. 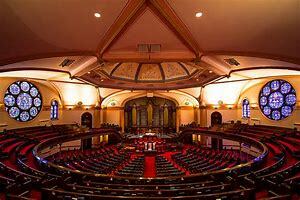 Below are photographs of Beschloss and the Westminster Sanctuary before the arrival of the crowd. He made the following brief comments about the eight presidents of war who are covered in his book. Beschloss identified two common characterizes of these presidents. First, they all became more religious during their wars. Lincoln before the Civil War was a sceptic or agnostic, but during the war regularly read the Bible and talked about wars being “oceans of blood” that prompted his seeking biblical guidance for sending young men to their death. Lyndon Johnson before the war was not a regular church-goer, but during the war, his daughter Lucy Baines Johnson Turpin, who had become a Roman Catholic, regularly and confidentially took LBJ to mass , and Lady Bird Johnson was heard to say he might convert to Catholicism. Second, they all were married to strong women who gave good advice. In 1942 FDR was considering internment of Japanese-Americans, and Eleanor warned him strongly not to do so. The subsequent internment caused a major rupture in their marriage. In response to a question about whether any of the war presidents had military experience, he did not state the obvious: they had not except for Truman in World War I. Instead, he said that President Eisenhower, who is not covered in the book even though he presided over the end of the Korean War, had the “perfect” military experience resulting from his military education and training and command responsibility during World War Ii that provided him with the knowledge of the ends and means, the costs and the unpredictability of war. All presidents need wisdom, courage and judgment. They need to be moral leaders. Citizens, Senators and representatives need to evaluate and criticize presidents on important issues, especially those of war and peace. In his book’s Epilogue, Beschloss says “the framers of the Constitution had dreamt that war would be a last resort under the political system they had invented. Unlike in Great Britain and other monarchies and dictatorships of old, it would be declared by Congress, not the chief of State.” Yet “the notion of presidential war took hold step by step.” We as citizens need to insist on obeying the Constitution and requiring congressional declarations of war. Beschloss is an award-winning author of nine books on presidential history. 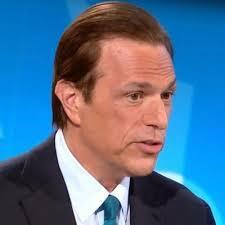 He is the presidential historian for NBC News and a contributor to PBS NewsHour. A graduate of Williams College and Harvard Business School, he has served as a historian for the Smithsonian Institution, as a Senior Associate Member at St. Antony’s College, Oxford, and as a Senior Fellow of the Annenberg Foundation. His books on the presidency include, among others, The Crisis Years: Kennedy and Khrushchev, 1960-1963; The Conquerors: Roosevelt, Truman and the Destruction of Hitler’s Germany; and Presidential Courage: Brave Leaders and How They Changed America, 1789-1989. His latest book, Presidents of War, was published in October. He is the recipient of the Harry S. Truman Public Service Award, the New York State Archives Award, and the Rutgers University Living History Award. He is a trustee of the White House Historical Association and the National Archives Foundation and a former trustee of the Thomas Jefferson Foundation. Westminster Town Hall Forum, Michael Beschloss, Presidents of War: 1807 to Modern Times (Nov. 13, 2018) (the website also includes a livestream of the lecture and Q & A); Black, ‘Presidents of War’: Historian Michael Beschloss on leaders who’ve taken U.S. into battle, MinnPost (Nov. 14, 2018); Barnes & Noble, Presidents of War (2018). Before 1898, the U.S. had a desire to own or control Cuba that was promoted by by U.S. slaveholders desiring support of Cuban slaveholders, and after U.S. entry in 1898 into the Second Cuban War of Independence (what we call the Spanish-American War) and the U.S. defeat of the Spanish, the U.S. made Cuba a de facto protectorate that lasted until 1934. Since the 1959 overthrow of Batista by the Cuban Revolution, of course, the two countries have had a contentious relationship, including the U.S. Bay of Pigs invasion of 1961 and the Cuban Missile Crisis of 1962 that nearly erupted into war. (See posts listed in the “ U.S.-Cuba History, 1989-2010” section of List of Posts to dwkcommentaries—Topical: CUBA. Another U.S. president with wartime experience, including injuries, was John F. Kennedy, who during the Cuban Missile Crisis of 1962 helped to steer the U.S. out of a possible nuclear war with the USSR over its missiles in Cuba. (See posts listed in the “ U.S.-Cuba History, 1989-2010” section of List of Posts to dwkcommentaries—Topical: CUBA. Recent Cuban statements about its human rights often state or suggest that Cuba’s concept of international human rights is different and broader than the U.S.’s. According to Cuba, its includes economic, social and cultural rights while the U.S.‘s does not. That is an incorrect assertion or belief. An examination of the modern history of this subject shows that the United States was the leading architect of what we now know as international human rights, including economic, social and cultural rights. The United Nations itself came into existence on October 24, 1945; its original members included the U.S. and Cuba. The Declaration also proclaims that everyone has the rights to work and join trade unions (Art. 23), rest and leisure (Art. 24), an adequate standard of living (Art. 25), education (Art. 26) and participate freely in cultural life (Art. 27). The Declaration, however, is inspirational and aspirational. It is not a treaty that creates rights for individuals and obligations of states. As a result, the U.N. Commission on Human Rights then had the task of preparing a treaty to cover the rights covered by the Declaration. The Commission’s committee that was assigned this task initially intended to create just one such treaty, but soon decided to prepare two treaties: the International Covenant on Civil and Political Rights (ICCPR), and the International Covenant on Economic, Social and Cultural Rights (ICESCR), both of which were unanimously adopted by the U.N. General Assembly in December 1966. Together with the Universal Declaration of Human Rights, they are known collectively as the International Bill of Human Rights. As the first treaty’s title—Civil and Political Rights–suggests, it covers civil and political rights and is reminiscent of the U.S. Bill of Rights. In summary, the U.S. was a major advocate for, and participant in, creating international economic, social and cultural rights. Cuba, on the other hand, mostly before its Revolution, was not so intimately involved although it voted for adoption of the U.N. Charter, the Universal Declaration and the above two treaties. The U.S. has signed and ratified the ICCPR. Although it signed the ICESCR in 1977, the U.S. has not ratified this treaty. Instead, the U.S. through legislative measures has addressed, imperfectly to be sure, the issues addressed by the latter treaty. For example, the U.S. has Social Security, Medicare, Medicaid and the Affordable Care Act. The U.S. has unemployment compensation and workers’ compensation for job-related injuries. It has various forms of public housing. The U.S. through various foreign aid programs has assisted many other countries in these areas as well. Like the U.S., Cuba has chosen to address the rights covered by the ICESCR by legislative measures and policy choices. By all reports, it has been providing free education and health care to its citizens, and Cuba has generously provided such services without cost to other countries. For these efforts, Cuba is to be commended. Cuba also has asserted that human rights are universal and indivisible and no one has more value than another. That is a debatable proposition for another occasion. Cuba, like anyone defending his own conduct, “accentuates the positive” in its human rights record—its education and health care at home and abroad. It also “eliminates the negative”—its record on freedom of assembly and speech. Foreign Minister Rodriguez in his recent speech at the U.N. Human Rights Council, for example, said nothing on the latter. The U.S., like anyone criticizing or attacking another’s conduct, does exactly the reverse. It accentuates the negatives of Cuba’s record while eliminating the positive. With respect to the U.S. record, the U.S. in various ways and fora and in different levels of government investigates and debates our failings and possible solutions. This rather abstract discussion of concepts of human rights implicitly raises the question of what do the two countries hope to achieve in their bilateral discussions of this subject. Both have admitted that they do not have perfect human rights records. At least the U.S., I believe, would concede that most of the Cuban criticisms of the U.S. record are valid. On the other hand, I am skeptical about Cuba’s willingness to make a similar concession about U.S. criticisms of the island’s human rights. As a result, I think the real issue in these talks should be whether there is anything that one of the countries can do to help the other country improve its record on particular issues. For example, the U.S. has allocated funds to improve Cuban human rights and democracy. In recent years those funds have been used (I would say “misused”) by the U.S. Agency for International Development (USAID) to conduct covert or “discreet” programs in Cuba; any and all such programs should be forever abolished. Instead, those funds could be used for joint U.S.-Cuba programs to promote civil society’s involvement on the island. Cuba, on the other hand, could offer to collaborate with the U.S. to improve health care in emergencies or in under-served parts of the U.S. Minnesota and other parts of the U.S., for instance, are projecting physician shortages as current practitioners retire and as their populations grow older. Cuban physicians could practice in these states. See David Weissbrodt, Fionnuala Ni Aolain, Joan Fitzpatrick, Frank Newman, International Human Rights: Law, Policy, and Process at 11-14, 97-105 (4th ed. LexisNexis 2009). One of the drafters of the Charter was Bernard Meltzer, one of my professors at the University of Chicago Law School. A fascinating account of Eleanor Roosevelt’s involvement in the preparation of the Universal Declaration is Mary Ann Glendon, A World Made New, Eleanor Roosevelt and the Universal Declaration of Human Rights (Random House 2001). U.N. Human Rights Council, Report of the Working Group on the Universal Periodic Review—Cuba (paras. 170.2, 170.4) (July 8, 2013); U.N. Human Rights Council, Report of the Working Group on the Universal Periodic Review—Cuba: Annex/Addendum: Views on conclusions and/or recommendations, voluntary commitments and replies presented by the State under review [Cuba] (Sept. 2013). Prior posts have discussed USAID’s social media program and its HIV workshops program and the New York Times editorial against such programs. September 14 “Get Action (1858-1901)”—The early lives of Theodore and Franklin. September 15 “In the Arena (1901-1910)”—Theodore transforms the office of the presidency while Franklin courts and weds Eleanor. September 16 “The Fire of Life (1910-1919)”—Theodore leads Progressive crusade that splits his own Republican Party and enables Democrat Woodrow Wilson to become President. 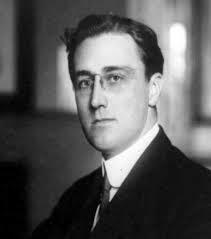 September 17 “The Storm (1920-1933)”—Franklin serves as Governor of New York and becomes Democratic presidential nominee in 1932. September 18 “The Rising Road (1933-1939)”—Franklin brings same sense of optimism and energy to White House as his cousin Theodore had. September 19 “The Common Cause (1939-1944)”—Franklin breaks the third-term tradition and tries to persuade reluctant country to enter World War II. 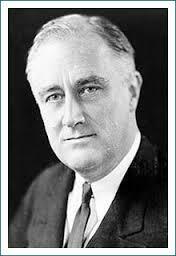 September 20 “A Strong and Active Faith (1944-1962)”—Franklin is determined to see World War II through to victory. Eleanor fights for civil liberties. In addition, in September the entire documentary will be available on DVD, and Knopf Doubleday will publish an oversized volume of The Roosevelts: An Intimate History containing nearly 800 photographs documenting the lives of Theodore and Franklin Roosevelt and (to a much lesser extent) their wives and families. The author, historian Geoffrey C. Ward, argues that “the similarities and not the differences” between Teddy and FDR are compelling. Both bucked the reins of their parties, though the one remained a Republican for most of his political career while the other redefined Democratic Party politics; both were children of privilege whose sense of noblesse oblige included a fundamental sense of fairness. Both surpassed all that was expected of them and transcended class to embrace an American-ness. As someone who currently is investigating certain aspects of Theodore Roosevelt’s presidency, I was happy to learn that this Fall PBS will be broadcasting noted documentarian Ken Burns’ The Roosevelts: An Intimate History. 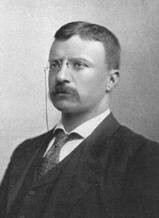 In June I enjoyed watching PBS Previews: The Roosevelts that whetted my appetite for the full series. Prior posts have reviewed (a) the election of William McKinley and Theodore as President and Vice President in the election of 1900; (b) Roosevelt’s involvement in that election; and (c) the assassination of President McKinley and the swearing in of Roosevelt as President. Future posts will canvas Roosevelt’s first term (1901-1905) regarding regulation of railroads, his “re-election’ in 1904 and his second term (1905-1909) regarding such regulation. As previously indicated, the history of refugees and asylum, in my opinion, may be divided into two major periods: the pre-modern era (before the adoption of the Universal Declaration of Human Rights in 1948) and the modern era (after that adoption). We now examine that Declaration and its implementation in the Convention Relating to the Status of Refugees and the Protocol Relating to the Status of Refugees. The United Nations Charter, which entered into force on October 24, 1945, created the Economic and Social Council in Chapter X. Under Article 68 of the Charter, this Council was to establish a commission for the promotion of human rights. In early 1946 this Council created a committee to make recommendations on the structure and functions of such a commission. 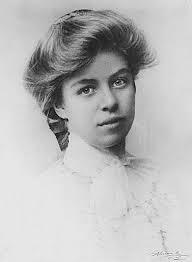 Eleanor Roosevelt, the widow of U.S. President Franklin D. Roosevelt, and eight others were appointed to this committee, and she was elected its chair. It recommended that the first project of the new commission should be the writing a bill of human rights. Thereafter, in June 1946, the Council created the U.N. Human Rights Commission and directed it to prepare an international bill of human rights. In January 1947 the Human Rights Commission held its first meeting and elected Eleanor Roosevelt as its chair. At the Commission’s June 1947 meeting Great Britain proposed preparing a covenant or treaty of human rights, rather than a declaration full of high-sounding generalities. The U.S., however, favored a broad declaration followed by treaties. The U.S. position appears to have been a strategy to avoid the U.S. Senate ratification process that constitutionally was necessary for ratification of treaties, but was not required for U.S. voting in the U.N. General Assembly. Remember that President Truman was heading into the 1948 presidential election and did not want to provoke a Senate vote he might lose. In any event, the Commission decided to work on both a declaration and covenants. In December 1948 (only one month after Truman won the presidential election), the U.N. General Assembly adopted the Universal Declaration: 48 in favor (including the U.S.); 0 against; 8 abstentions (the USSR and its allies, South Africa and Saudi Arabia); and 2 absences. Even though the Declaration was not a treaty that created legal obligations for subscribing states, its declaring that every individual human being had a right to asylum was a historic departure from the pre-modern era where asylum was a matter of discretion for the protecting state. This provision also set an objective for the treaty on refugees then being formulated. These provisions of the Universal Declaration, in my opinion, also constitute an atonement for the failure of the civilized world in the 1930’s to protect German Jewish refugees. In any event, ever since its adoption, the Universal Declaration has set the agenda for the subsequent development of international human rights treaties. The Declaration also continues to act as an inspirational and aspirational document throughout the world, as I discovered on my first visit to El Salvador in April 1989. 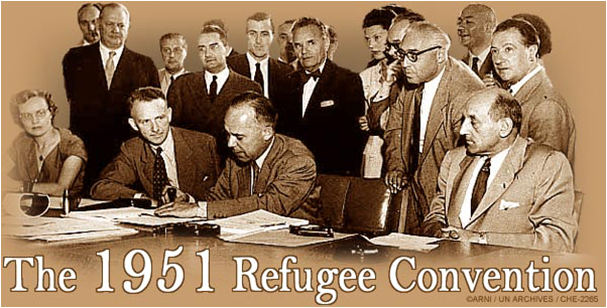 On July 2, 1951, an international conference in Geneva, Switzerland concluded with the signing of the Convention Relating to the Status of Refugees by the conference attendees and the opening of the treaty for accession or ratification by nation states. By its Article 43(1) it was to enter into force or become a binding treaty 90 days after the sixth state had acceded or ratified the treaty. That happened on April 22, 1954. The bracketed phrase [“As a result of events occurring before 1 January 1951”] was the provision that limited the coverage of the Convention to the problems still being faced by many World War II refugees still scattered across Europe. This limiting phrase was eliminated in the Protocol Relating to the Status of Refugees discussed below. The Convention granted refugees certain rights within a country of refuge as well as imposing on them certain obligations. The Convention further stipulates that, subject to specific exceptions, refugees should not be penalized for their “illegal entry or presence.” This recognizes that the seeking of asylum can require refugees to breach immigration rules. Prohibited penalties might include being charged with immigration or criminal offences relating to the seeking of asylum, or being arbitrarily detained purely on the basis of seeking asylum. By 1966, it had become apparent that new refugee situations had arisen since the Refugee Convention had been adopted and that all refugees should enjoy equal status. As a result, a new treaty was prepared to eliminate the previously mentioned limitation of the Convention to those refugees created by pre-1951 events. This was the Protocol Relating to the Status of Refugees that went into force on October 4, 1967. As of April 1, 2011, there were 145 nation states (and the Holy See) that were parties to the Convention and Protocol or the latter, including the U.S. That represents 76.2% of the U.N. members (plus the Holy See). In subsequent posts we will review (a) the work of the principal U.N. agency concerned with refugees (the Office of the United Nations High Commissioner for Refugees); (b) U.S. law and procedures for refugees; and (c) U.S. law and procedures for asylum. See Post: Refugees and Asylum Law: The Pre-Modern Era (July 7, 2011). U.N., United Nations Charter, http://www.un.org/en/documents/charter/index.shtml. See Mary Ann Glendon, A World Made New: Eleanor Roosevelt and the Universal Declaration of Human Rights (New York: Random House 2002)(fascinating history of the development of the Universal Declaration). U.N., Universal Declaration of Human Rights, http://daccess-dds-ny.un.org/doc/RESOLUTION/GEN/NR0/043/88/IMG/NR004388.pdf?OpenElement. See Post: My Pilgrimage to El Salvador, April 1989 (May 25, 2011). UNHCR, 1951 Conference of Plenipotentiaries on the Status of Refugees and Stateless Persons, http://www.unhcr.org/cgi-bin/texis/vtx/search/?page=&comid=3c07a8642&cid=49aea9390&scid=49aea9398. UNHCR, Convention and Protocol Relating to the Status of Refugees, http://www.unhcr.org/3b66c2aa10.html; UNHCR, The 1951 Refugee Convention: Questions and Answers (2007), http://www.unhcr.org/3c0f495f4.html. There are certain other stated exclusions from the definition of “refugee” in Article 1(C), (D), (E).